Charming Victorian 4 Bdrm Detached Home, Fully Renovated Open Concept W/New Flooring, New Appliances, Quartz Counter, Large Yard, 3+ Parking, 4th Bedroom/Family Room, Laundry In Basement. 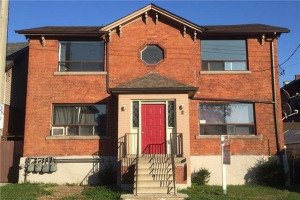 Close To Hospital, West Harbour Go Station, Farmers Market, James Art District, Parks & Hwy #403. Rent $2100/M + Utilities. Unfurnished. Non Smoker. Required: Certified 1st & Security, Credit Check, Employment Letter, Pay Stubs, References, Rental Form & 1Yr Lease.